to existing materials on site. 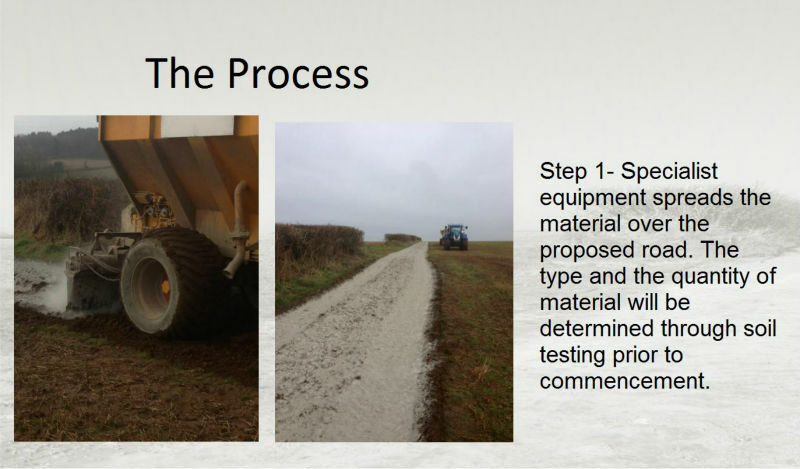 Step 2 – More specialist equipment then mixes the Cenin material into the existing soil. Widely used technique across UK and further afield for many years. 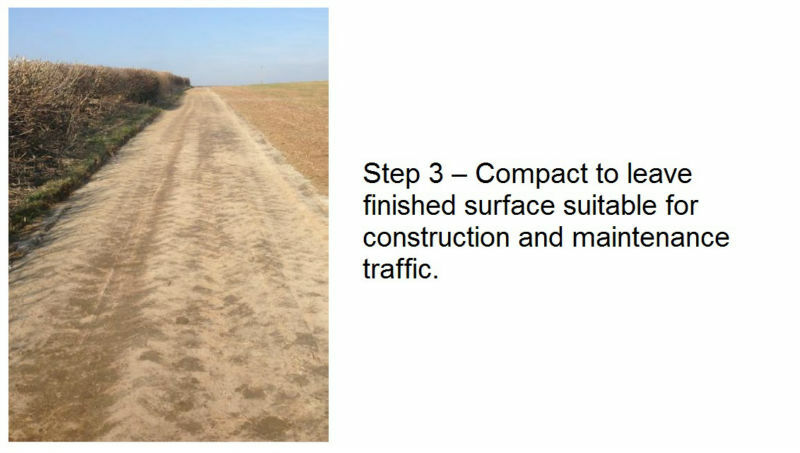 Changes marginal or unsuitable soils into useable construction materials. 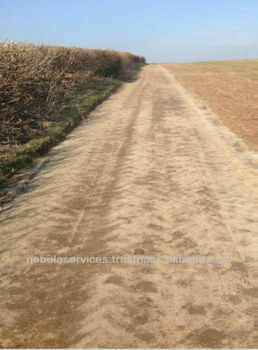 Accepted and publicised by the EA as a method for treating contaminated soil. 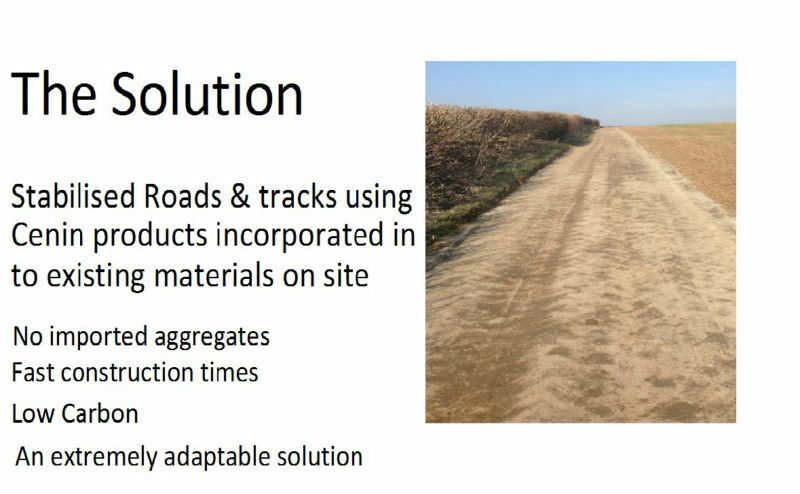 Cheaper and more sustainable solution than using track way or bought in aggregate. 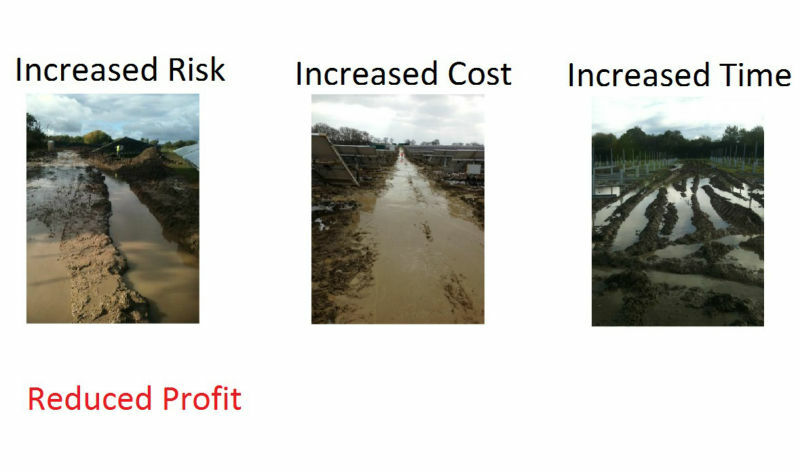 Cost and programme benefits can be huge as stabilised tracks can mitigate weather. Risk during the delivery phase of a project. Able to provide a design service using our own in house laboratory and state of the art testing facilities.